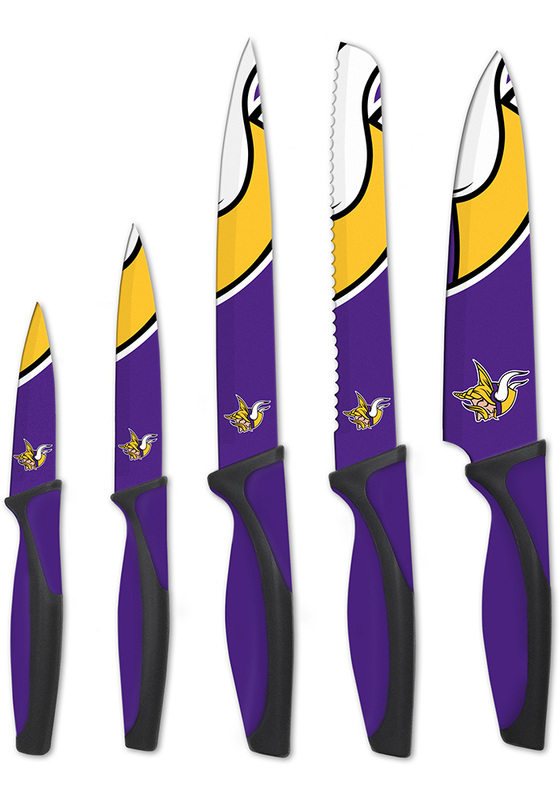 Cut into your BBQ with pride using these Minnesota Vikings 5-Piece Kitchen Knives. You'll be the hit of the next party when you show off these Knives, which features a licensed team logo on both sides of the blades and brilliant team colors on the handle. Non-slip, soft-grip handles for enhanced safety and maximum comfort. Each blade is sure-coated so team design stays vibrant for the life of the blades. These knives have passed all required food safety testing.